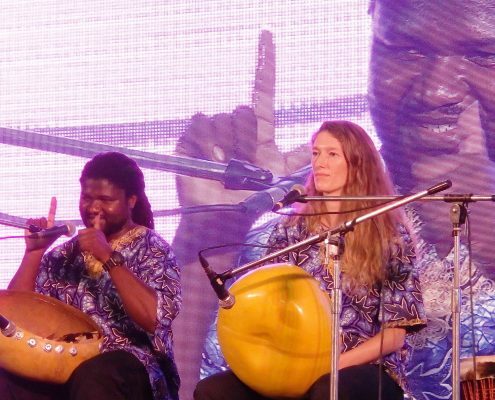 We offer live African music performances and masterclasses for social and official events such as functions, weddings, conferences, (birthday) parties, festivals, family and sound journeys. 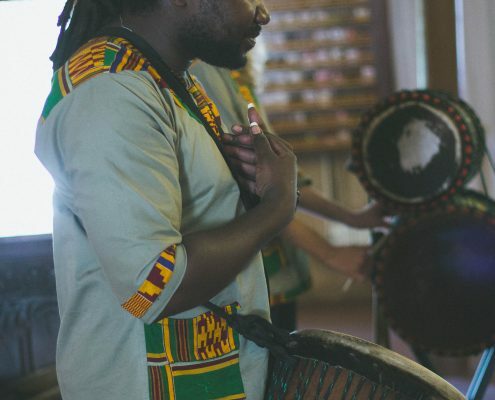 A mix of traditional and contemporary African sounds for your event. 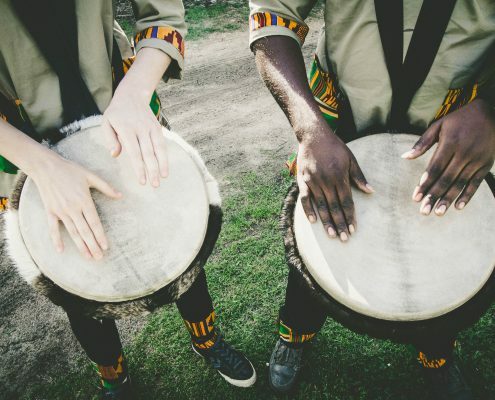 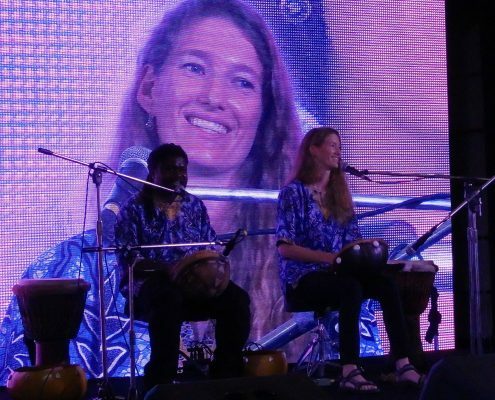 West-and South African Drumming, Djembe and bass drum rhythms and vocals. 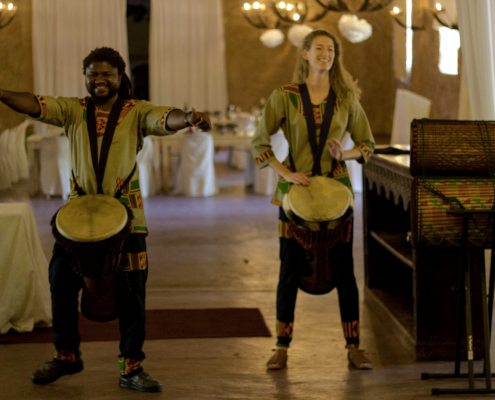 Great for welcoming guests, reception, conference, large events, festival and upbeat vibe. 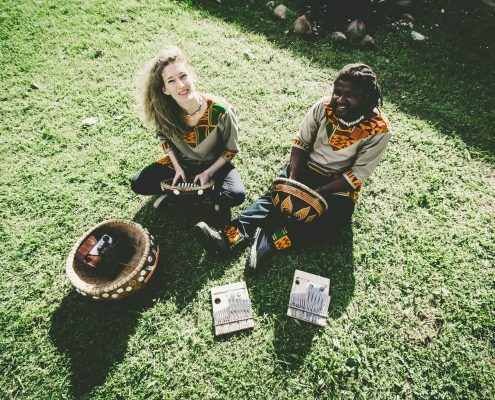 Contemporary mixed sounds from the African continent on a variety of instruments such as the djembe, percussion, guitar, mbira, kalimba and vocals. 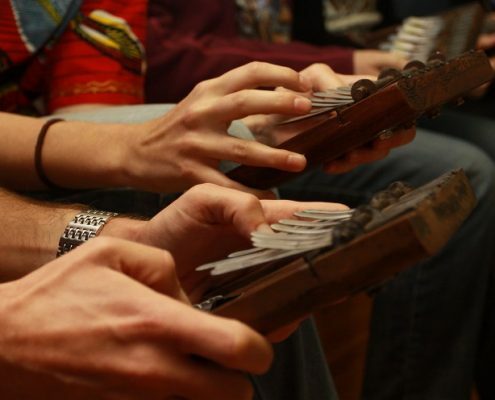 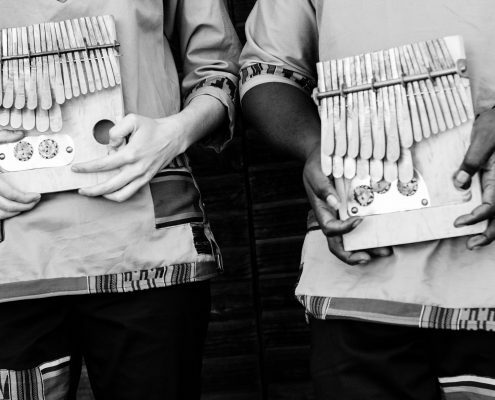 Experience the soothing sound of southern African lamellophone Kalimba and Zimbabwean mbira music. 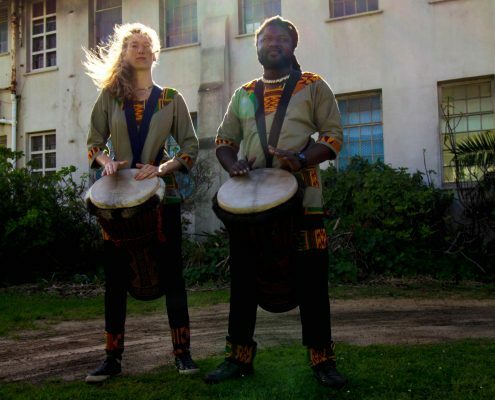 Great for functions, events, lunch/dinner music, galleries, exhibitions, weddings, yoga, theatres, retreats and sound journeys. 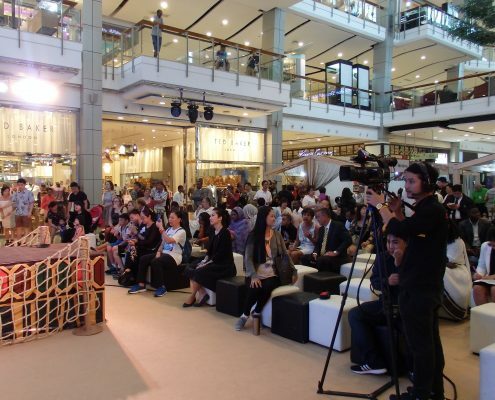 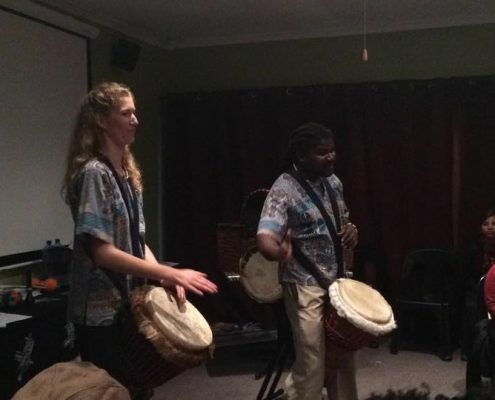 Interactive performance where the audience learns and experiences the playing and making of African instruments such as the djembe, bass drum, mbira and kalimba. 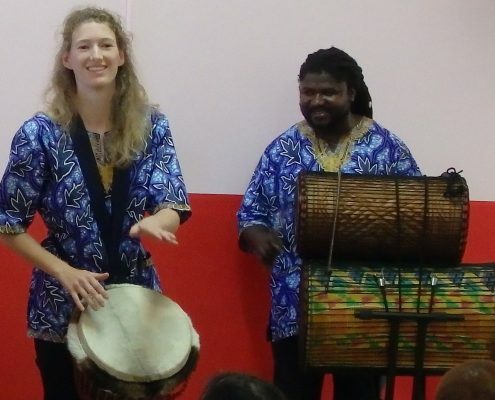 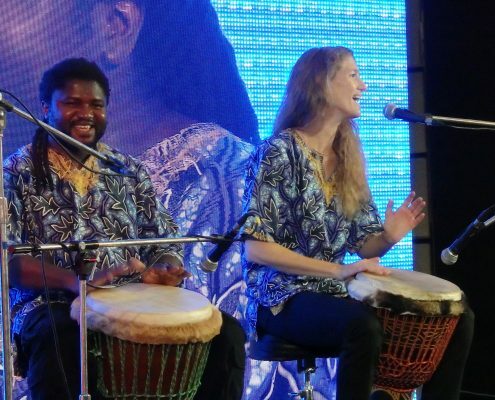 Experience African music, sing and play rhythms. 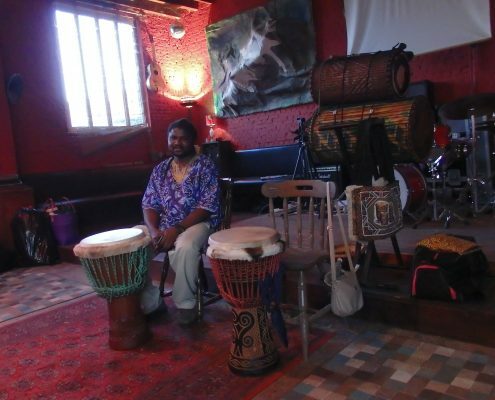 Combination of a performance and workshop, suitable for public or open events. 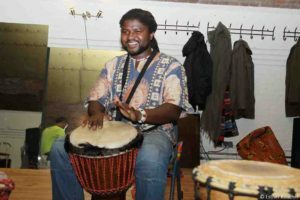 Great for cultural events, libraries, birthdays, family events, theatres, cultural & art centres and museums. 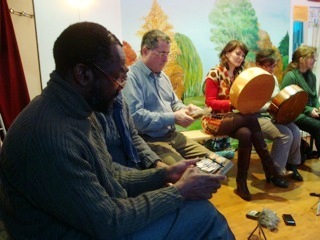 Are you looking for an activity where you participate and make music? 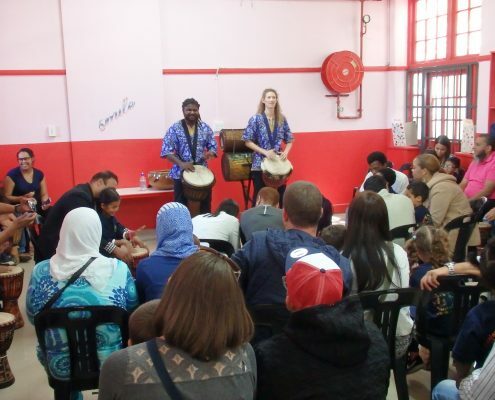 We offer various interactive African music workshops.